Polk County, Iowa has been a Community Partnerships for Protecting Children (CPPC) site since 2003 with the goal of reinforcing community prevention efforts to support families, reduce risk factors that may contribute to abuse or neglect, and to protect children. Under that broad umbrella, Polk CPPC's areas of focus include reducing disproportionality in the child welfare system and building resources to identify, mitigate, and build resilence from the experience of trauma. Polk County CPPC convenes a monthly Neighborhood & Community Networking meeting to facilitate relationship building among all our partners with an interest in strengthening families and protecting kids from neglect & abuse. We also host a monthly Providers' Advisory meeting, an opportunity for community-based service providers to highlight their programming for their organizational peers and other interested members of the community. The current Polk CPPC Coordinator is Jordan Kauffman. Jordan has been part of the the Polk Decat team since 2015. As Coordinator, Jordan convens the group's meetings, takes referrals for & coordinates community based Family Team Meetings, leads planning for workshops, trainings, and special events, and recruits participants from a variety of community sectors. Your knowledge, talents, and insights can improve our work! Polk County's CPPC meetings are a venue for exchanging information about local resources by blending the expertise & perspective of professionals & community members. These meetings are also an opportunity to learn about non-DHS community based Family Team Meetings and other family strengthening resources that can be available to vulnerable children and their families earlier, before a crisis occurs. Polk County's CPPC Strategy Teams meet at various times throughout each month at the Polk County River Place building - 2309 Euclid Avenue, Des Moines. Meetings are always open to the public. CPPC is made up of a broad base of individuals and organizations in the community who are willing to devote their time, talent, leadership, and resources to increasing families' protective factors and preventing child abuse and neglect before it occurs. 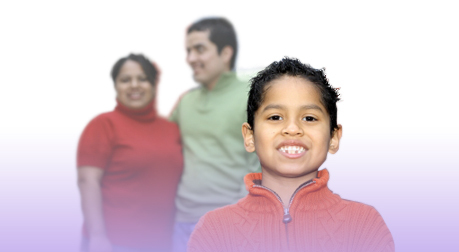 Our mission is to strengthen families & protect children from abuse and neglect. Participation is open to anyone in the community who wants to help; you may attend meetings as a professional representative of an organization that provides services and supports to vulnerable families or as a concerned member of the public not affiliated with an organization. All are welcome! Can't Make it to the Meetings? The CPPC approach extends beyond just attending meetings, so there are a variety of ways that community members can contribute to supporting strong families even when they can't make it to the meetings. Offer support when you learn about a family that has hit a rough patch: a listening ear, babysitting, a meal, even the simplest things help! HERE is a list of acronyms commonly used by the Department of Human Services and other child welfare professionals. Are you well connected? Do you want to be? Neighborhood & Community Networking is the strategy team for you! We increase community awareness of CPPC's areas of emphasis, works in progress, success stories, in addtion to communicating community needs & resources back to the Team & on to other stakeholders! Build effective, meaningful relationships through storytelling & leadership devleopment opportunites! Help define, host, & promote relevant events, presentations learning exchages to boost community knowledge & support of our programs! For more information about CPPC in the state of Iowa, visit the statewide CPPC website.